I got this when my cheap old tent stopped working, mainly attracted to its pack-ability (weight and size). I think it is brilliant, and although I don't get out often enough, it has been used in many places and weathers from Scotland to Tanzania. Never been wet inside, and (if you're sure it won't rain) it can be pitched without the flysheet to get better ventilation in the tropics. I should also say it is mosquito proof, which is important and impressive. The integrated pole design keeps it rigid and is easy to pitch. The walls feel really tight as you put them up, but it pulls into a brilliantly usable "square" shape internally. A downside is the small space inside, it's just big enough for two adults, but all your bags and shoes will need to stay in the porch, and you need to be GOOD friends ;-) But I guess that's a price you pay for its portability. Might also be nice if you could pitch the flysheet alone, although this is only possible if you buy the optional extra footprint. There are a couple of useful pockets inside, and a small window on the fly. Overall a brilliant tent. Get one if there are any left! It's user friendly, that is if you're totally new to tents, a single pass on the manual will get you in your tent in minutes. As with all newly acquired gear, one should spend some time getting acquainted with it prior to live testing/use. The Viperine 2 is a home away from home in the middle of nowhere - which is where I go when hiking/trekking. Good overall. I attempted to put the tent up without using the instructions thinking "with 1 pole, how tough can it be?" I failed. BUT with the instructions it went up quickly :-) Now I can put it up by myself in a minute or two. I was out camping in the Great Smoky Mountain National Park and got rained on every night, but stayed quite dry in the tent. The airflow was pretty good, even though there was not much wind. We had minimal condensation, but these mountains are known for their "smoke" (clouds) everywhere. It's humid as all get out! So, I rate it 4.5 out of 5. Would be a 5 if the doors were slightly bigger and the poles were a little easier to take apart. I feel i can't let anyone else take the poles apart with the small aluminum insert not being secured, since if you're not careful about which side it sticks to the poles look pretty silly when you try and cram it into the bag. After years of using cheap tents and getting wet when it rained I decided to buy a tent that might actually keep me dry when out in the woods for a few days at a time. I came across this one on steepandcheap.com about a year ago so I got a pretty good deal. The first time I tried to set it up it took me about 25 minutes since the directions were not very detailed and its a different design from any tent I used in the past, but once I figured it out it was really easy and I can set it up in the dark within a few minutes now. As far as performance goes it's light and keeps you dry. It rained hard on and off for 4 days during one of my trips to the New River Gorge in WV and I stayed completely dry and comfortable while in the tent. A good buy for sure. Bought the tent for a very discounted price from a local outdoor reseller. I'm very impressed with the performance and ease of setup. 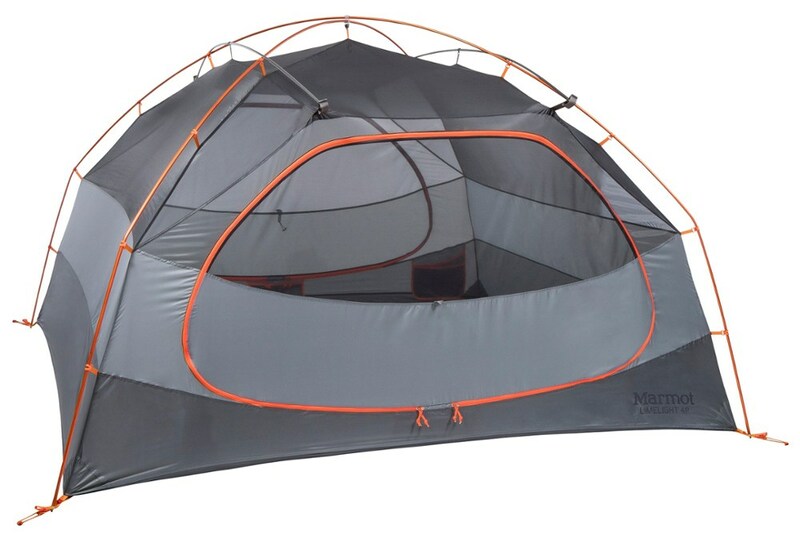 I pitched it in a very windy campsite and I had a hard time sleeping because the other campers inside their standard dome tents kept on screaming all night when strong wind blows. Lol for them. This Viper stayed on its ground, never felt it shake, and it kept me warm and adequately ventilated. The vestibule is big enough for 2 60L bags and 2 pairs of hiking shoes. 2 campers will fit inside if they are 6foot tall and below. 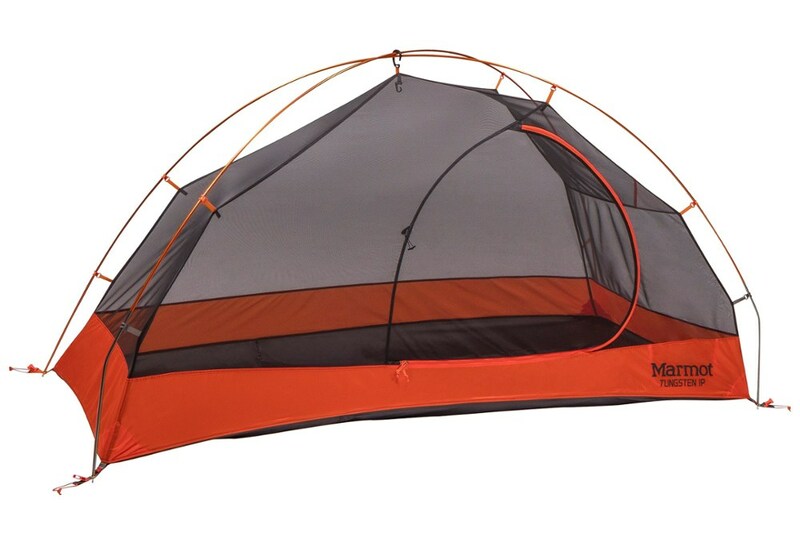 If you're taller than that, consider this as a 1 person tent. I'm only 5'9 so I won't complain about the space. I love this tent and I want to thank Mountain Hardwear for making this baby. 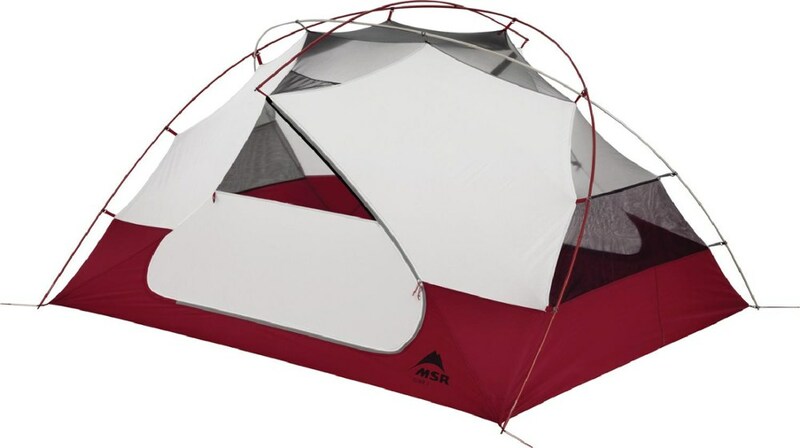 I would like to give a comment to the review of Paul Haslam about this tent. The fly sheet of the tent or what you call outer shell, was really made to not touch the ground. This design prevents condensation from building up inside the tent. Airflow is important in every tent. Try turning off the aircon inside your car with the windows closed. After a few minutes you will notice that condensation will start to build up on the inner windshield but if you will slide the windows down, the condensation will go away because of the airflow. Same concept applies for the tent. The temperature inside the tent is colder compared to other tents that has fly sheets touching the ground but MH guaranteed that you will not get wet even water from condensation. I hope this helps. Buy Mountain Hardwear!! Ease of Setup: Easy once you know how! 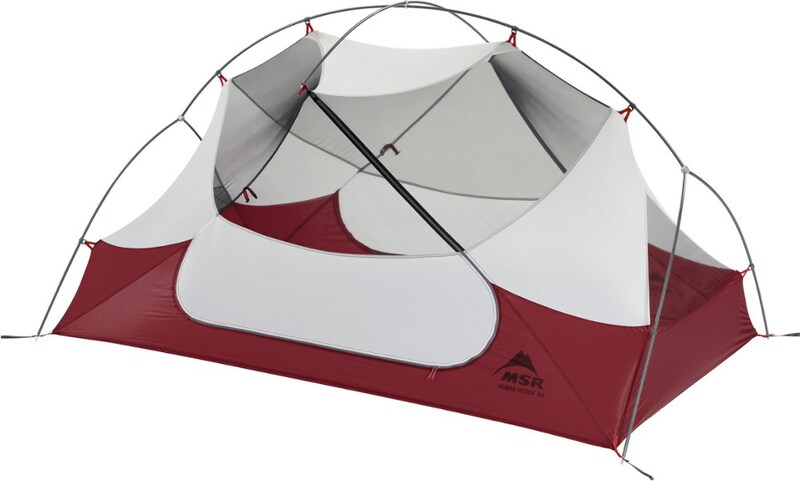 After looking around at different tents I settled on the MH Viperine 2... When the tent turned up it took me 1 hour to put the tent up, the one pole system confused me somewhat (maybe I'm stupid). Now i can put the tent up within 5 minutes by myself. Although i have yet to use the tent in the very worst of conditions I have found the tent to be very spacious and stable and does not use a lot of space. 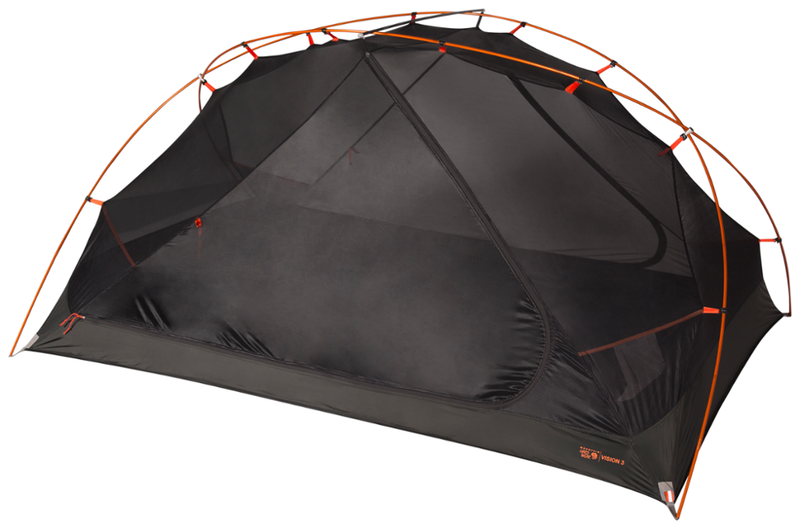 My gripe with this tent is the fly sheet, which doesn't cover the bottom of the tent very well and is a tight fit. No doubt I will be using this tent soon in rough and cold weather and despite the fly sheet problem, i have confidence this tent will provide me with the warmth and shelter that i desire from a tent. I would recommend this tent to another person. I am 6’1” and I could not fit well into other tents. This one is just right for me and my gear. Make no mistake, this is a 3.5 season tent. 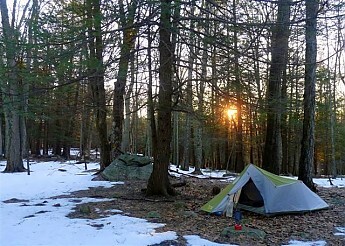 The first night I used it, I set up on frozen ground and the temperature dropped below 10 degrees. The ample ventilation did little to keep the tent warm. The second time, it was in the mid 30s with a 25 knot wind coming off a lake and was quite cozy and very stable. The Viperine 2 performs excellent in warmer weather, with all the mesh. I have had no problem with moisture or condensation. I use the footprint, and it has protected the floor well. 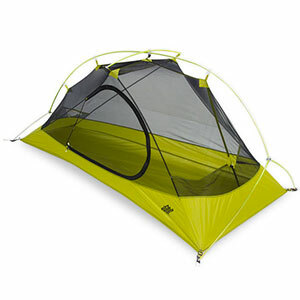 This tent is easy to set up with the single pole, though it takes a couple of times to get comfortable with the process. 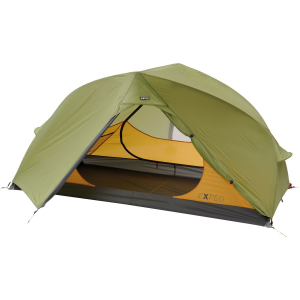 The design provides significant headroom—more than comparable dome tents. This is not a 2 man tent (no surprise), but for me and my gear it is perfect. I would like this tent to be 1 lb lighter, but this is not a complaint. I evaluated tents for some time before settling on this one. After considerable research, I settled on this for my perfect compromise of weight, price and space. I am having a real tough time getting the outer shell close to the ground. I have put a slight bow in two pieces of pole, i had them repaired no problem but the problem is still here. The instructions are not very in-depth but apart from this it is a very easy tent to erect. WHAT CAN I DO??? I bought this tent for a backpacking excursion to the mountainous region of Okinawa, Japan, in November. The tent is light and setup is quick. Our first night we basecamped at the foot of Mt Tamatsuji. It rained all night due to a late season tropical storm forming south of the island. We stayed warm and dry. The second day we made our way and setup camp about 150 ft shy of the summit. There was no spot off the trail to pitch camp due to steep slopes and heavy vegetation. The small footprint of this tent allowed us to pitch two tents on the trail itself and still allow enough room for others to get around us if needed. The winds from the storm came up the face of the mountain with ferocity. Both tents stood strong and rigid against the winds. All of us (3 small humanoids and 2 adult humanoids and 1 quadraped) stayed warm and dry. So warm in fact, the dog left the tent to sleep outside to cool off. I love this tent. I haven't used it 4th season yet, but I think it will do nicely even in colder climates.